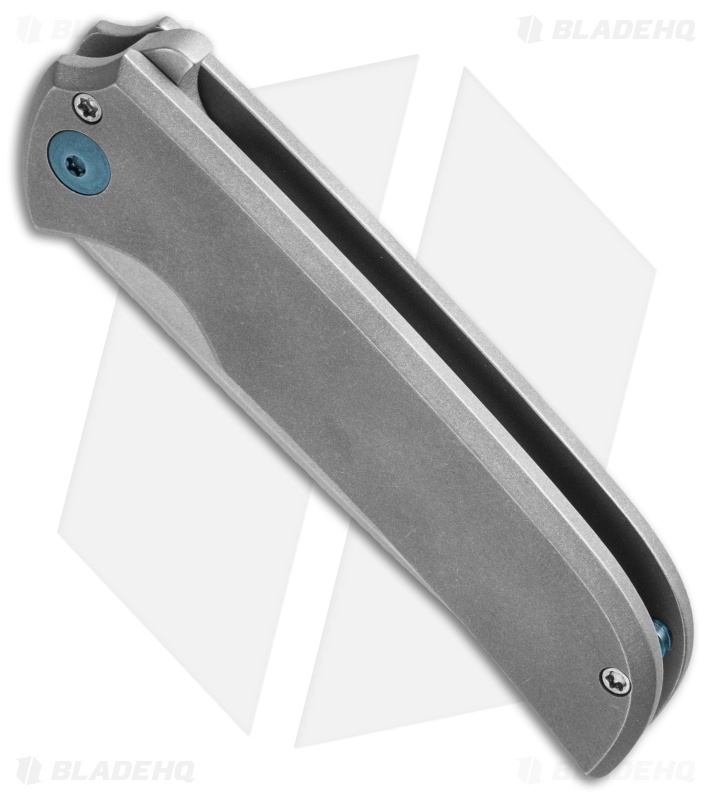 Based off of the Mordax flipper, the N-TAC knife offers a smaller footprint while carrying over the design cues and performance of its predecessor. There are four handle patterns available on the N-TAC series. This one has a plain titanium handle with a gray tumbled finish and blue anodized titanium pivot, clip, and spacer. 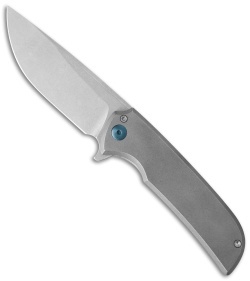 The full length swedge drop point blade is Bohler N690 steel with a stonewash finish and flipper opener. 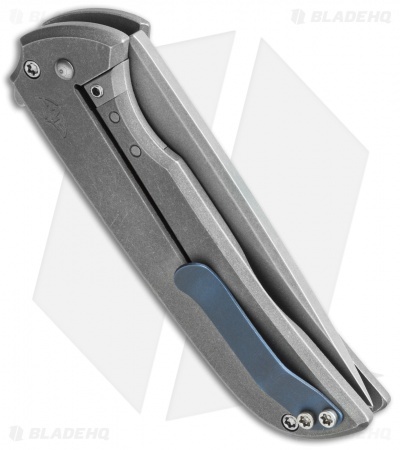 The N-TAC has a very high blade to handle ratio, i.e. it has a long blade length for such a compact handle.